Chances are good you have a few home remodeling projects in the works. Whether it’s a new roof, upgraded landscaping, a finished basement or a new backyard pool, you may be spending some serious cash. While the purchase may be painful, an array of cash back and travel rewards cards can soften the blow. Because when you’re spending tens of thousands of dollars on a home remodeling project, you deserve to get something in return, right? The key to getting the most out of your project is figuring out the best card for your needs based on cash back or travel rewards, then signing up before you’re ready to pay. Cash Back or Travel Rewards? If your goal is cash back only, then a card that offers the highest rate of cash back will always be ideal. Really, it’s hard to beat the Citi Double Cash Card, which offers 2 percent back for each $1 you spend—1 percent when you make the purchase and 1 percent when you pay it off. The downside is that the Citi Double Cash Card doesn’t come with a signup bonus. If you’re after a big bonus from the get-go, you could consider the Chase Freedom Unlimited for its $150 signup bonus and ongoing 1.5 percent back with no annual fee. Or, look for a card with a similar signup bonus and earning structure. If your goal is earning free travel, it’s wise to compare the top travel credit cards that offer a signup bonus and lucrative ongoing rewards. The Chase Sapphire Preferred card—with its 50K point signup bonus, 2x points on dining and travel, and 1x points on all purchases—is always a safe bet. That’s mostly because the annual fee is waived for the first year. As a result, you can sign up, charge your home remodeling project, earn and redeem your rewards, then cancel within 12 months if you don’t want to keep the card. Then again, the Citi Prestige has a 40,000 point signup bonus, $250 annual air credit, 4th-night free benefit and other perks that can be a smart move despite the card’s $450 annual fee. And let’s not forget the Barclaycard Arrival Plus World Elite MasterCard, which offers 50K points worth $500 in any type of travel after you spend $3,000 in 90 days. The $89 annual fee is waived the first year too, making this a smart travel card for fee-averse consumers who want utmost flexibility. At the end of the day, the best travel credit card for you really depends on your travel goals and style. Why Not Get Multiple Cards? One strategy that can help you maximize the points for a huge purchase is by signing up for several cards at once to earn multiple signup bonuses. Let’s say your home remodeling project will cost $20,000, and you have the cash on hand. By signing up for 3-4 new credit cards with big signup bonuses, you can earn more rewards than you would with a single card. Getting a new rewards card before a huge purchase is a smart idea. If you’re going to spend the money anyway, you might as well earn some cash back, gift cards and/or travel rewards in the process. The key here (as with charging any huge bill to your credit card) is paying your card off right away and avoiding interest like the plague. 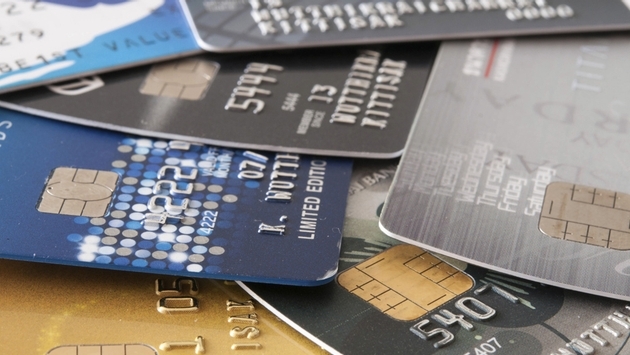 If you need to carry a balance, a travel or rewards card is probably the last thing you need.